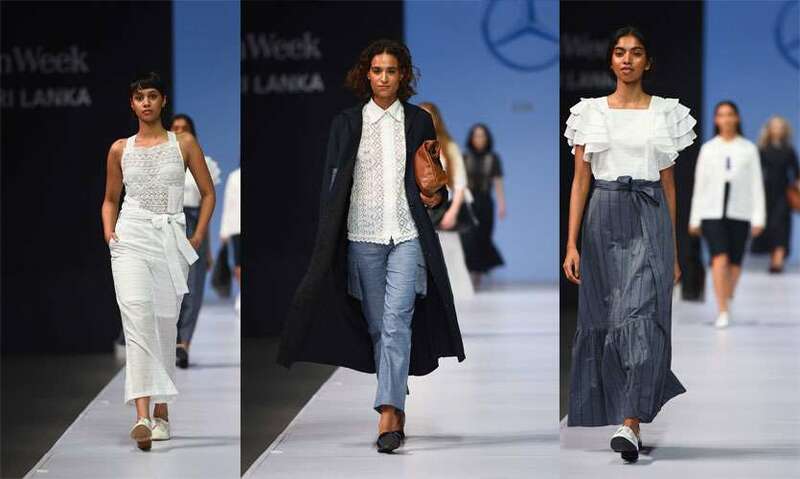 Mixing both young and established designers, Day 2 of Mercedes Benz Fashion Week Sri Lanka, saw a host of fine fashion collections grace the runway. 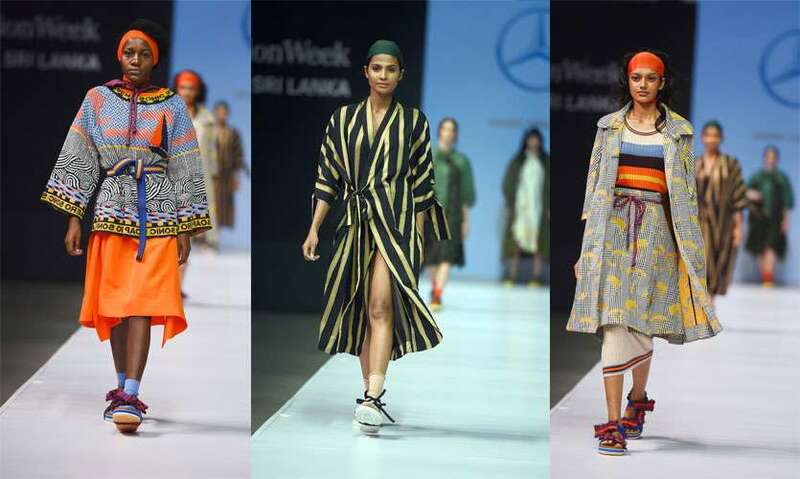 The use of artisanal crafts such as beeralu lace, batik and handloom fabric featured high on the agenda for every designer that showcased on Day 2. While some played it safe using muted colour palettes, others created a riot of colour on the runway through their innovative use of prints and myriad colour combinations. Danish fashion designer Henrik Vibskov presented pieces from his latest collection which he showcased at Paris Fashion Week. 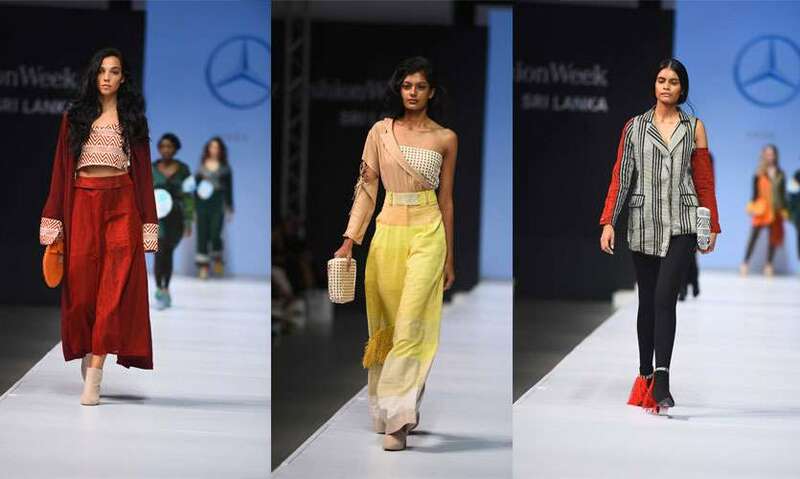 Vibskov is currently working on a collaboration with AOD where Lankan handloom becomes the material of choice for the award-winning fashion designer. 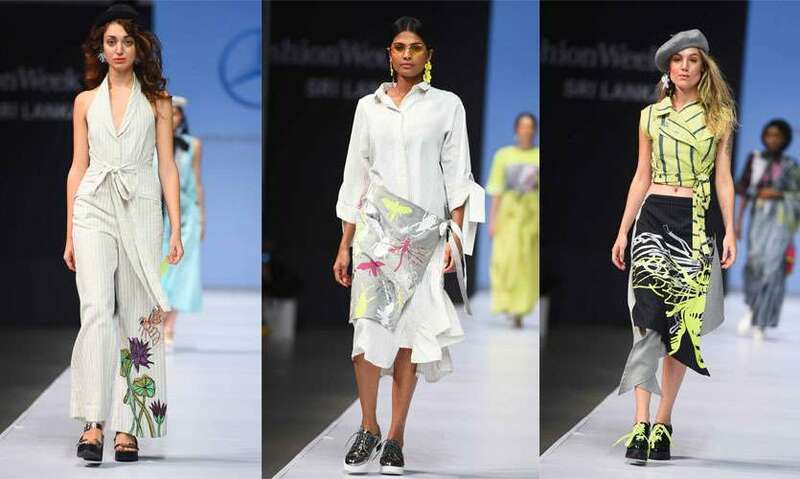 Using her beeralu or bobbin lace, this collection titled BizLeisure was a hybrid collection for an empowered woman who enjoys business and leisure travel. Hot on the heels after showcasing at New York Fashion Week, Kasuni presented looks which ranged from business casual to urban exploration or a beach front dinner. 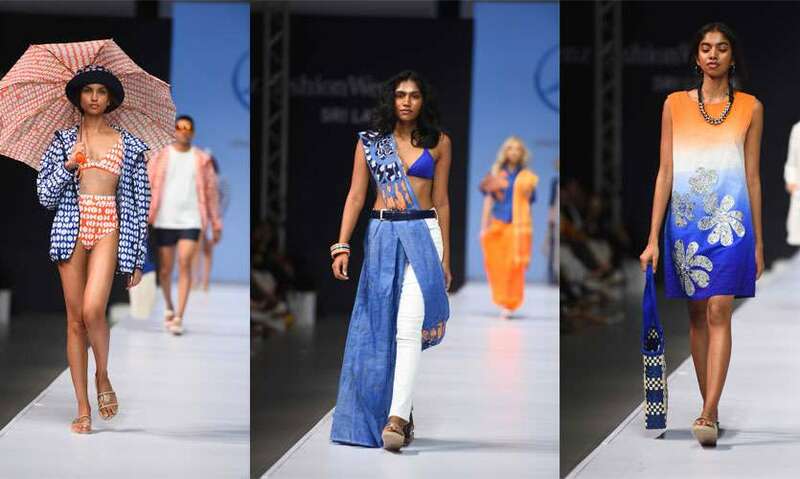 Suave and sophisticated this collection showcased an age old Sri Lankan artisanal craft to full effect. 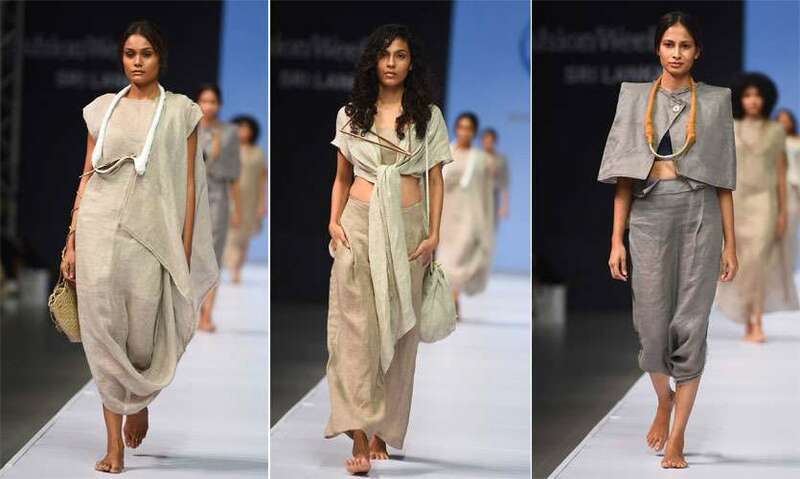 Inspired by the traditional Sri Lankan dress, the “sarama, Reddha-Hatte, osariya, saraiya, nilame (Mul)anduma, but developed more along the lines of contemporary fusion this collection titled Tradition in Modernity showcased a collection of adventurous silhouettes in pure linen in earthy colour tones. 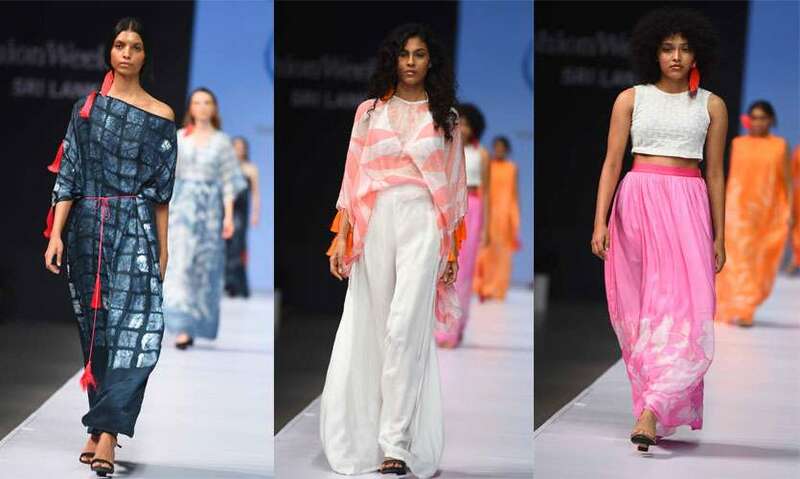 Indian designer Khyati Pande presented her latest collection using handwoven Khadi muslin, silk, hand block printed silk organza which were fused with dainty hand embroidered motifs. Intricate details and layering were a key feature this collection titled The Memory Keeper. Kudos to this designer who is not afraid to mix and match the brightest of colours to full effect. 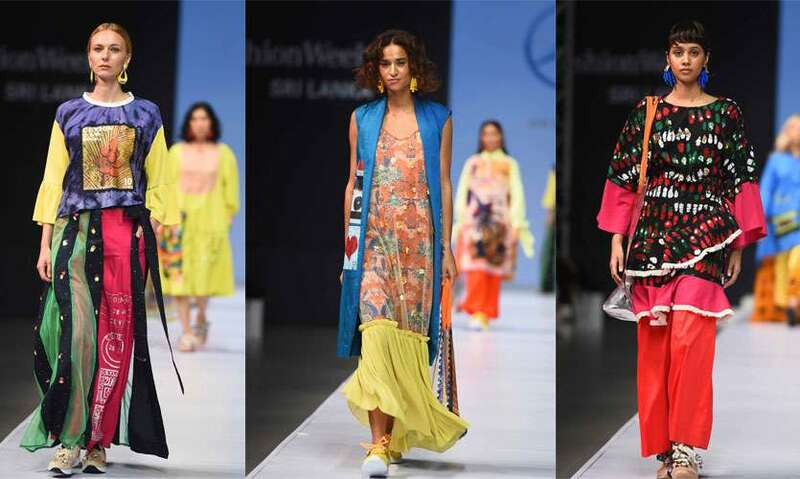 Canary yellows, emerald greens, fuchsia and cobalt blue were using in varying combinations to display her prints which were based on old Ceylonese stamps. 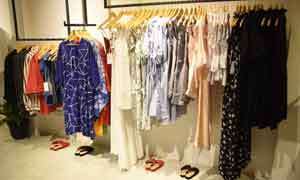 Using screen prints, batik and upcycled handloom, Anne’s collection was the brightest in more ways than one. Presenting her collection Victorian.Greenhouse.Honeycombs, this designer has successfully made the hijab and non hijab looks very chic. Hers was a collection that had an element of high fashion in it. She has used lots of appliqué, handworks, prints and embroidery fabric with lace trims and French lace. Fusing different hues to maximum effect, this collection titled Metanoia embraces an optimistic, upbeat mood focused on improving one’s spirit. 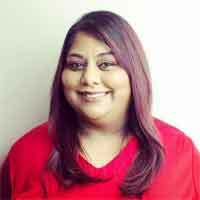 The range is inspired by the new generation of women who expect brands to take a stand both socially and ethically. The range consists of a fusion of mood enhancing tailoring and a hint of unapologetic brights appearing within earthy tones. 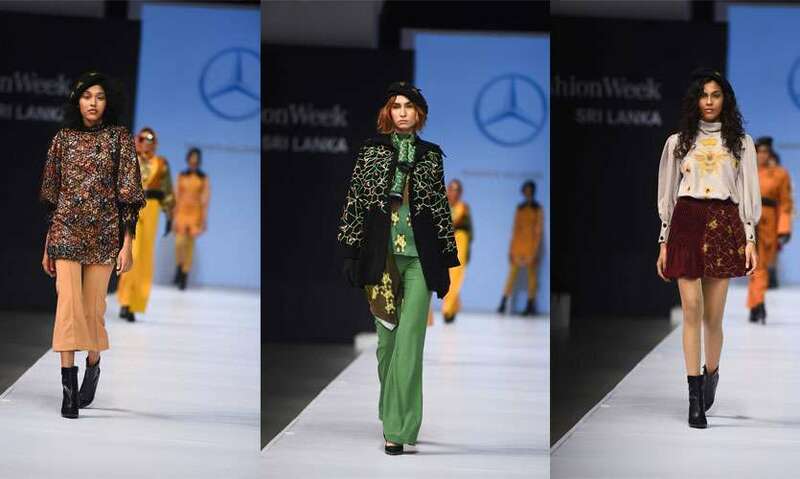 Emerging as one of Sri Lanka’s finest young illustrators, Tharshana’s collection Eclectic Journey showcased his ability to illustrate flora and fauna which ensured he created some fine fabrics to complement his bold silhouettes. Using a delicate colour palette he breathed life into his fabrics by using pops of colour in an intelligent way. Playing it safe with a muted colour palette, this collection was brought to life with the use of beeralu lace. Her choice of fabric was exclusively linen and her Tropical Yarn collection was inspired by the “Simple” but “Strong” woman. Daring to be bold, this designer’s collection was all about mixing and matching prints in various bold hues. 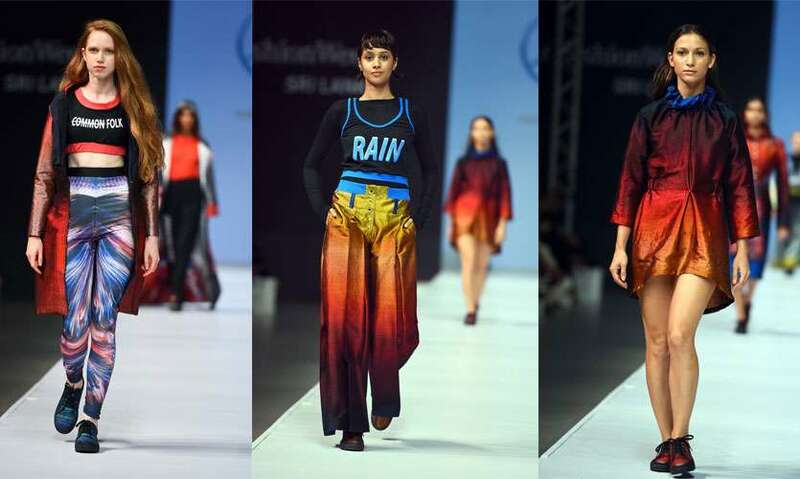 Infusing ancient Tibetan colours and symbols for harmony and prosperity, Poornima’s activation art is embedded into the fabric as prints, to create a thematic energy activation clothing collective towards human wellbeing. Using an autumnal colour palette with pops of blue ranging from indigo to ink blue, this collection titled Season 1 contained mix and match separates in various silhouettes. Royal Patterns of Bangladesh which boast of complex elemental designs that are unique to her heritage. Bold and bright, her collection was all about colour which she used in the most dramatic way. This designer is not afraid to use colour and mix and match her prints. She has used various forms of ancient Sri Lankan temple art presented in an abstract format. The silhouettes are contemporary and versatile. 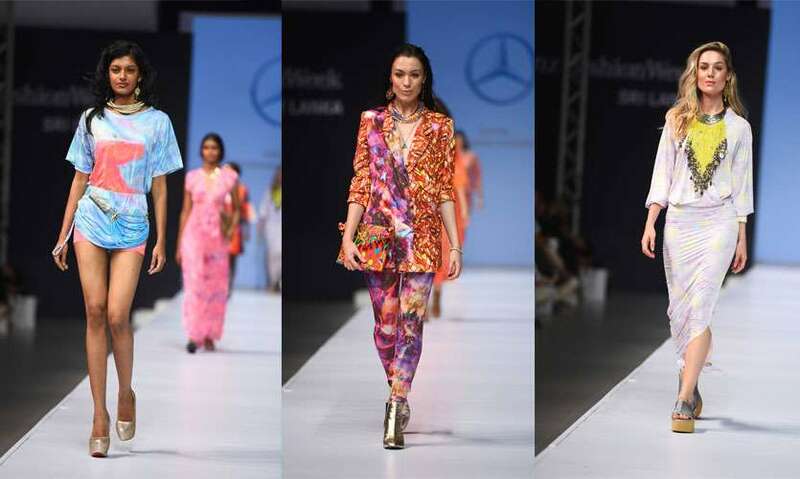 A combination of eco conscious techniques such as sublimation printing along with craft base techniques such as batik, tie dye and beeralu (pillow lace) are used in this collection. 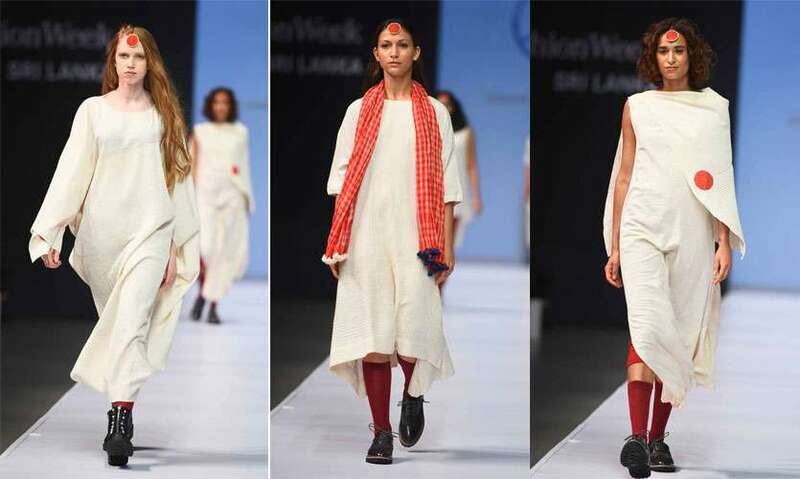 A monochromatic collection in red and white this collection is rooted in the multicultural Auroville, Upasana where the creativity, design, Indian culture, business, social responsibility and spiritual progress get woven together. A clever play between the engineered and the raw Khadi, this collection features structured elements with silhouettes derived from origami introducing additional structure with the taut appearing pin-tucks, coupled with natural, untouched elements. Fun and quirky are the words that best describe this collection titled Suit Up Tropics. Inspired by Teddy girl Subculture from the 1950s and infusing tropical prints inspired by the lotus flower and insects from The Island of Sri Lanka. This capsule collection is a fusion of femininity fused with sharp tailoring and sporty silhouettes that is made for the urban professional woman. Striking the right balance between the use of colour and fun silhouettes, this Island Collection renders a contemporary tropical travel life style, by bringing together heritage textile techniques, natural materials and contemporary design. 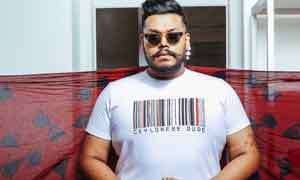 A blend of modern and timeless aesthetics tastefully curated from all things designed, made and handcrafted in Sri Lanka.